I am actually feeling a little stumped as far as the direction that I want to go in setting up her big girl room. I know what I like, but I am sure not sure about how to set it up and how to go about arranging the space. The bed she is currently sleeping in turns into a full size bed, but I am not sure I love it. Plus, I would have to buy the converter set and it's $200.00! Here are two looks that I am really loving! 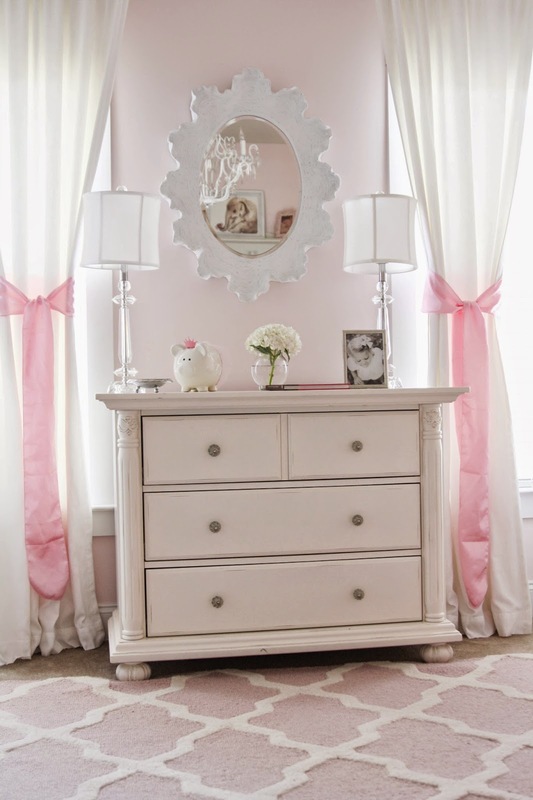 The rug, dresser, chandelier, and wall color are staying the same. Here's a picture of what her room looks like now so you can get a better idea. I love the canopy bed!!! 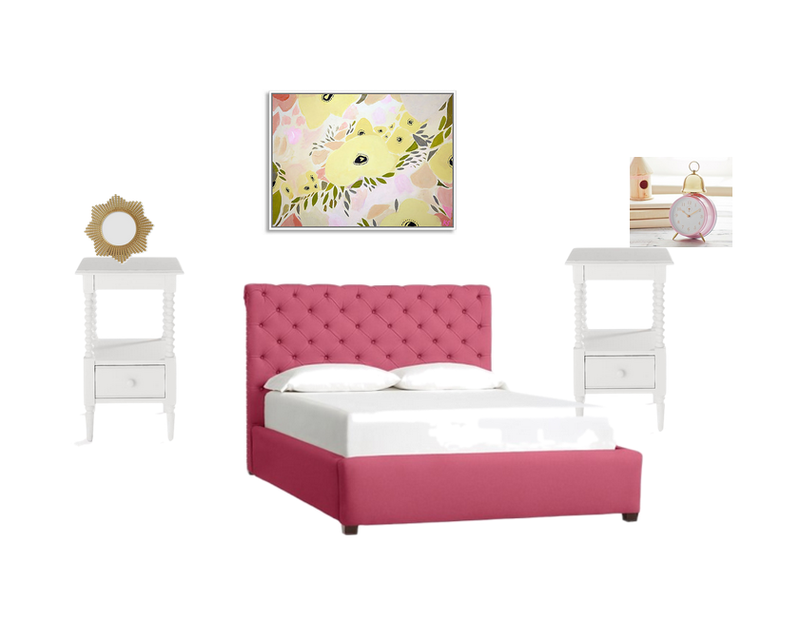 I love the pink headboard bed! How fun to re-do her room!! I like the canopy bed-classic! I love her current room, so sad that she's outgrowing it :(. I like canopy beds, but I can tell you from experience that kids will hang from them like monkeys. I would wait until she was much older to go that route. The pink is charming though. I like the third bed it looks more her age and you can always use pops of pink to brighten it up. You have great taste so I am sure it will look great!! Both rooms are so sweet, but I would have to go with the pink bed! Also, where is Taylor's convertible crib/bed from? 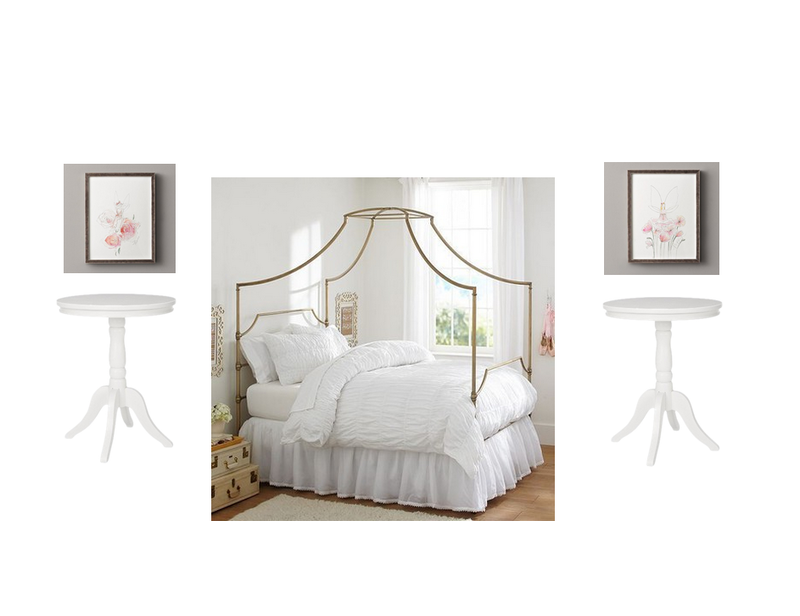 I want the canopy bed for my own bed! Her room is so beautiful! You have a tough decision on your hands! I love the canopy bed, because I think it something that will grow with her and go with just about everything as she gets older. Good luck! I love the canopy bed. As a child I had a canopy bed and it was the coolest bed. I would play with my friends and put curtains/sheets over it and build forts, so my vote goes for the canopy! That bed is super cute and could be dolled up for a little girl and dressed in something cool and hip for a teen. 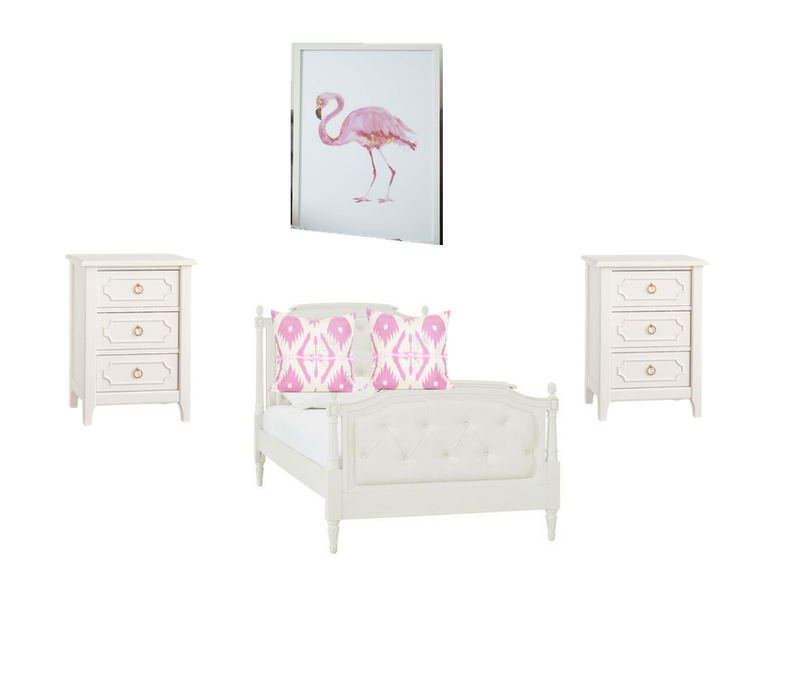 I love the 3rd option, those nightstands and that flamingo! !